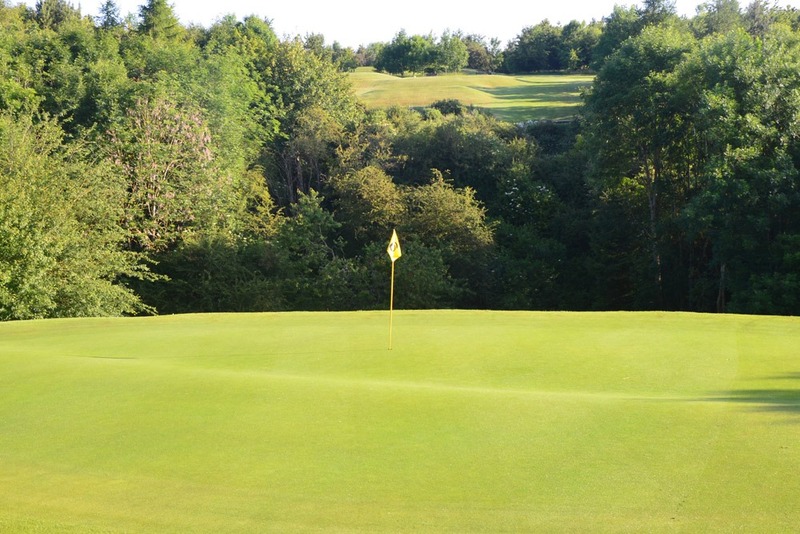 A mid to long iron over the wooded valley to a two tiered green. Better to be long as the ball could roll back down to the putting surface. Anything short will leave a difficult up hill pitch. Very sloping green, par here is a good score.